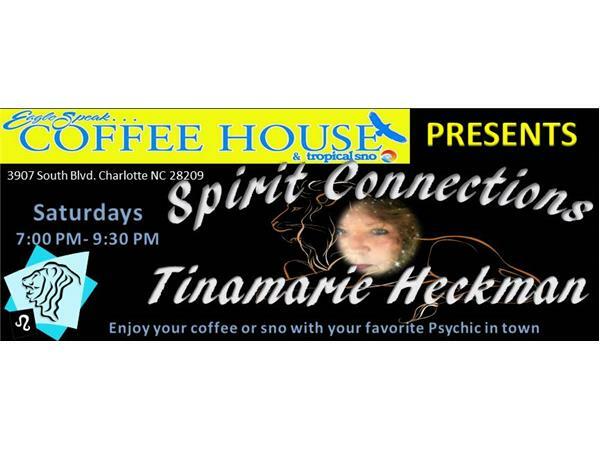 The FIRST Friday of Every Month, Charlotte View presents: Spirit Connections with Tinamarie Heckman. 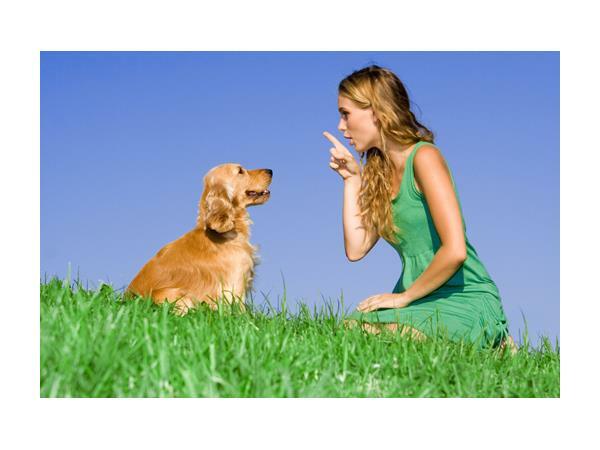 #TAKEMYCALL available (for $20 jump the long list of callers and put your name FIRST). 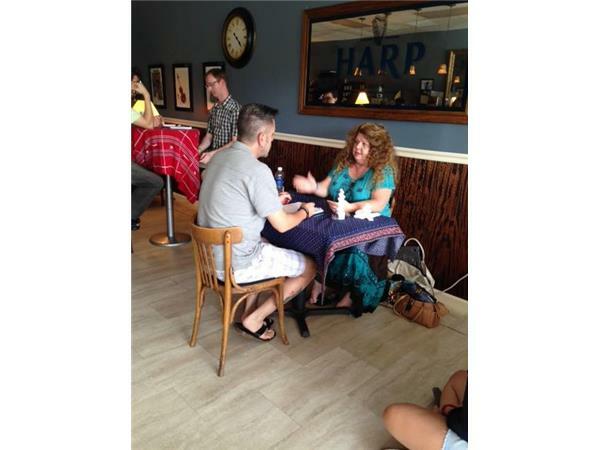 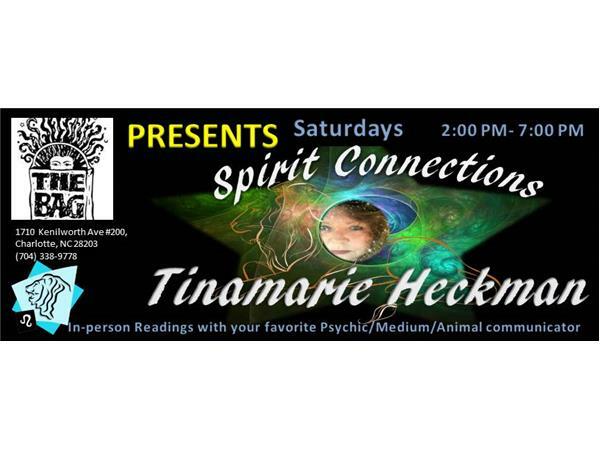 Tinamarie is a professional Psychic/Medium, Animal Communicator, and Spiritual Confidant. 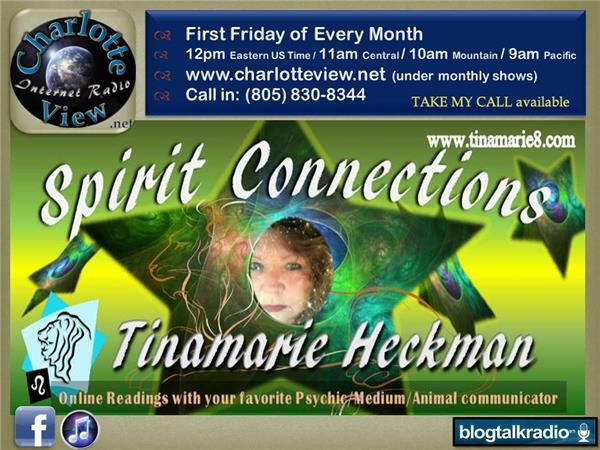 Her compassionate, practical, sensitive and trustworthy personality attracts the world audience who love Tinamarie’s innate ability to bring insight, clarity, understanding and direction in a new and profound way: Love life, Career, Life’s Purpose, Change of Residence, etc. 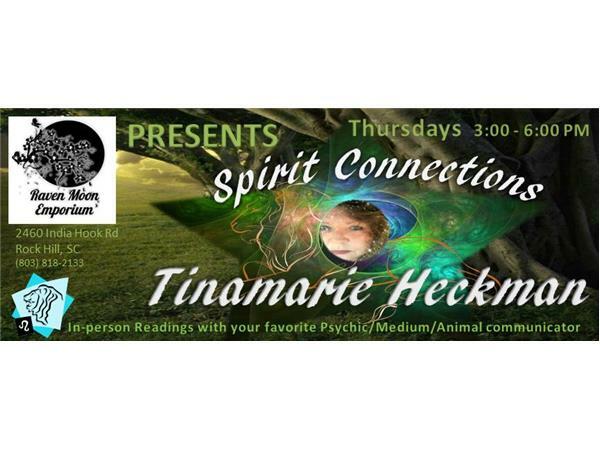 During this live show, Tinamarie GETS ANSWERS TO YOUR QUESTION. 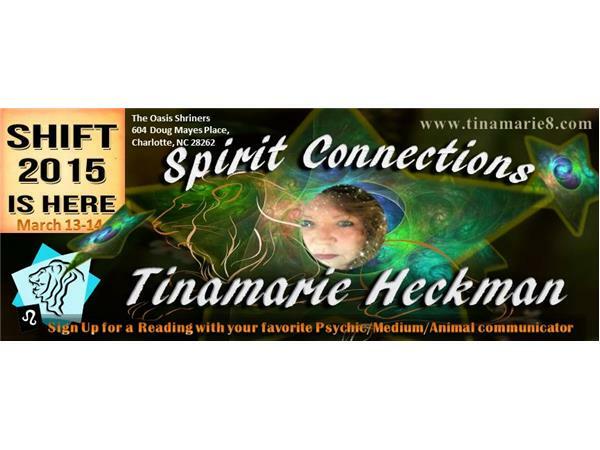 Tinamarie will help you bridge the gap between your spiritual world and your daily life. 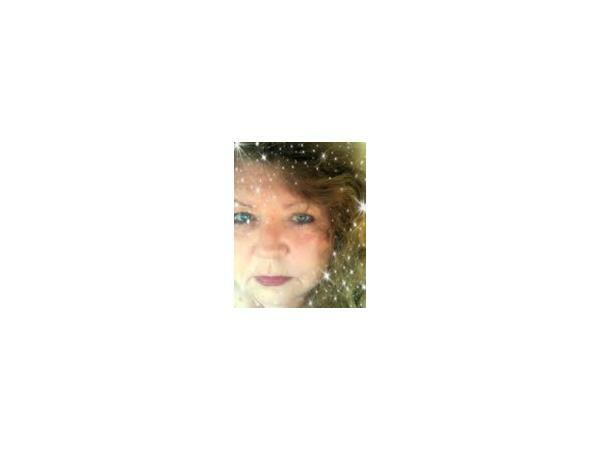 Her practical advice (live or on-demand) is free and inspires the general audience to continue to seek higher meanings in the everyday circumstances of life. 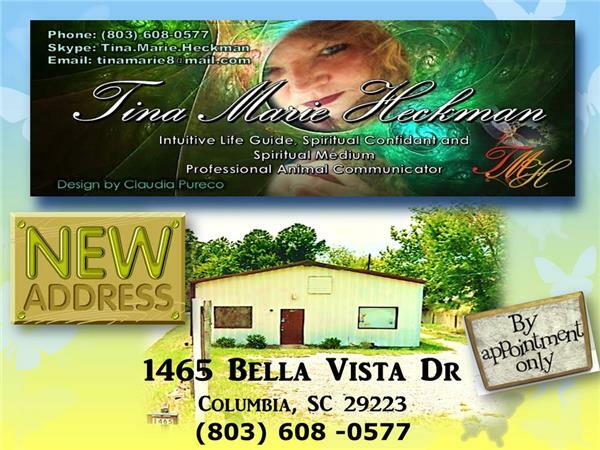 Every month, Tinamarie touches the lives of millions of people, shows them the areas to shift, and empowers them to create the outcomes they desire for their highest good.